Jimi Hendrix’s London flat overlooking Mayfair’s Brook Street is opening to the public tomorrow (August 25th) for the Hendrix In Britain exhibition. 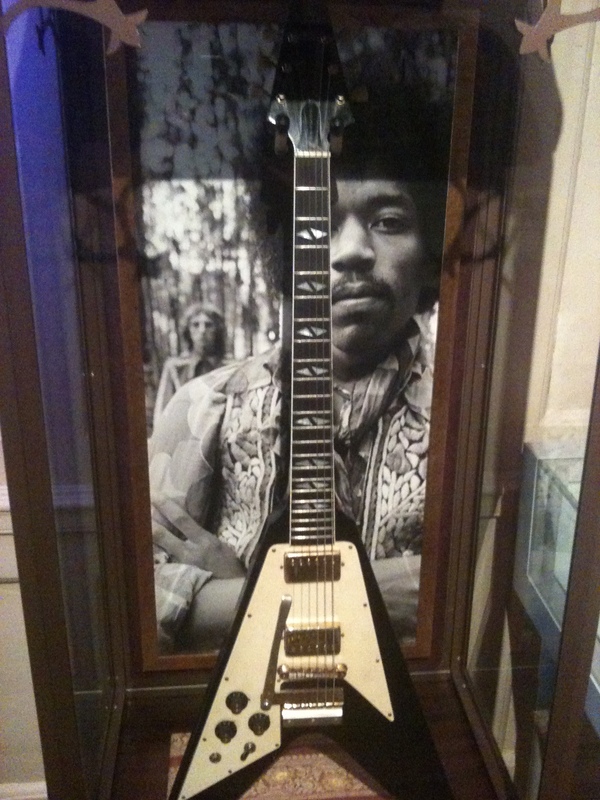 The exhibition – which is being mounted by the Handel House Museum (Hendrix and Handel were temporally dislocated neighbours) – is a cosy affair, amounting to a costume, a guitar, some great photos, handwritten lyric sheets, posters (‘The Fabulous Walker Brothers/Cat Stevens/Jimi Hendrix/Englebert Humperdinck’), notes, including directions to the Isle of Wight for the famous festival, and his death certificate (’cause of death: vomit’). Hendrix’s actual flat is now the Handel House Museum offices, but they will be moving out for two weeks in September so the public can have tours of the quite spacious flat Hendrix lived in with his girlfriend Kathy Etchingham. The museum hopes to open this flat to the public permanently when they manage to raise sufficient funding and get all the hash burns out of the carpets. My favourite part of the exhibition was the giant map of Hendrix’s London that takes up one wall, with stickers donating key venues, hotels and apartments. Opposite is a list of the major concerts Hendrix played during his three years in London before his death. 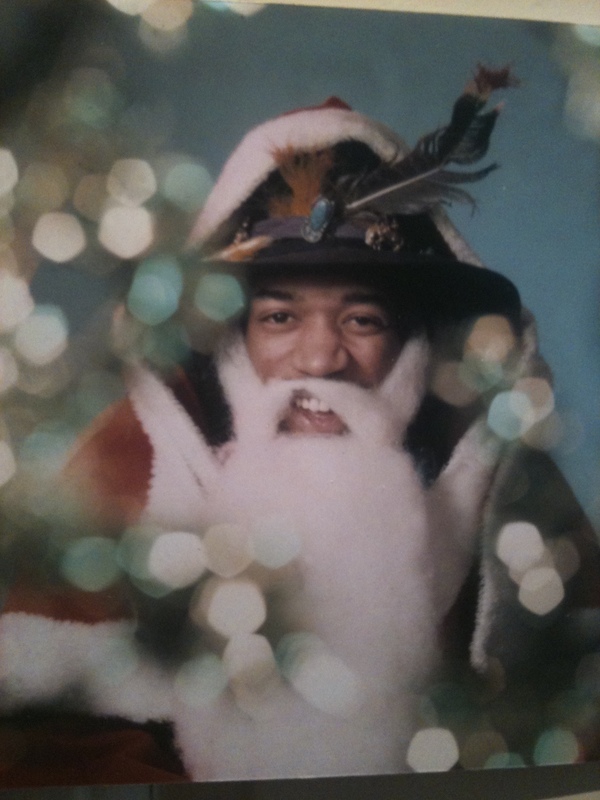 I was pleased to note that alongside the more famous clubs – Scotch of St James, the Marquee, the Astoria and the Royal Albert Hall – Hendrix found time to play the suburbs, including Bromley Court Hotel, Ricky Tick in Hounslow, Upper Cut in Forest Gate, the Ram Jam Club on Brixton Road, Granada Theatre in Tooting, Star Hotel in Croydon, Bluesville ’67 on Green Lanes, and the Orchid Ballroom, Purley. Hendrix in Purley, now that’s a side of swinging London you don’t hear much about these days.